The Hair Transplant Training Center of the Hairline Clinic (HLC) kindly invites aspiring doctors, attendants and learning physicians to be exclusively informed about new techniques and programs for hair transplant training now. 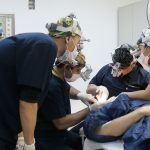 Learning the latest state-of-the-art method FUE (Follicular Unit Extraction) and developing your personal skills will qualify for expert hair restoration worldwide. 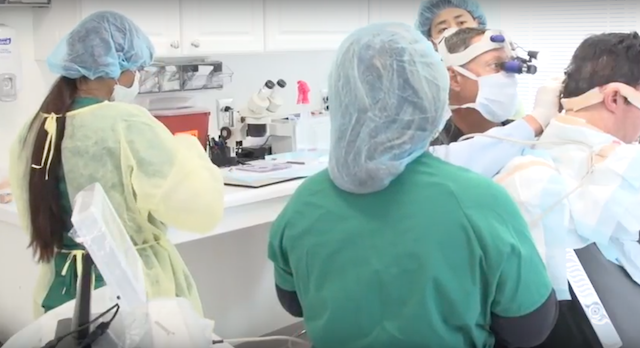 With a revolutionizing development of new medical devices and techniques the whole team of the HLC and the Hair Transplant Training Center is able to introduce interested physicians to modern methods for hair transplant. 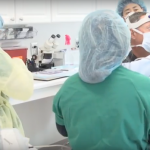 Attendants will be trained with a unique variety of different approaches to professionally perform hair transplants worldwide. The technical equipment of our individual training encompasses every state-of-the-art hair transplant device made by Coleinstruments such as the PCID, the window punch, the Vortex, the manual sharp punch, the manual dull punch and the latest Zero T-Punch being recently released to present a new and highly developed handpiece for hair transplant. The Zero T-Punch allows to delicately extract follicular units from the donor area of the patient with one of the sharpest punches in the business and is claimed to be the best punch ever manufactured (see also https://mailchi.mp/coleinstruments/the-new-zero-t-punch-by-coleinstruments ). Every trainee of the Hair Transplant Training Center at the HLC will be invited for full clinic observation and technical use of every of our modern devices to comprehensively learn about the difference between motorized and manual punch, full depth control, extraction methods (oscillation, rotation and roto-oscillation), punch sizes and best transection rates with various approaches. Every medical equipment, extraction tool and high-tech handpiece at the Training Center will be provided for personal hand-on training of our trainees. Attendants of our program will exclusively be introduced and trained to find their personal approach and equipment for hair transplant to qualify for excellent results on patients. The rates include highly qualified training and free use of all medical devices to facilitate the access to one of the top-billing businesses. Please inform yourself about our next deadlines and dates!